Originally published in hardcover and a Finalist at the 17th Annual Minnesota Book Awards, now available for the first time as an ebook! Perfect for school reports, but a gripping tale for everyone, young or old. Featuring 187 illustrations; 4 maps; Travel tips; Glossary; Index; Foreword by Ron Laycock, past-president of the Lewis and Clark Trail Heritage Foundation. 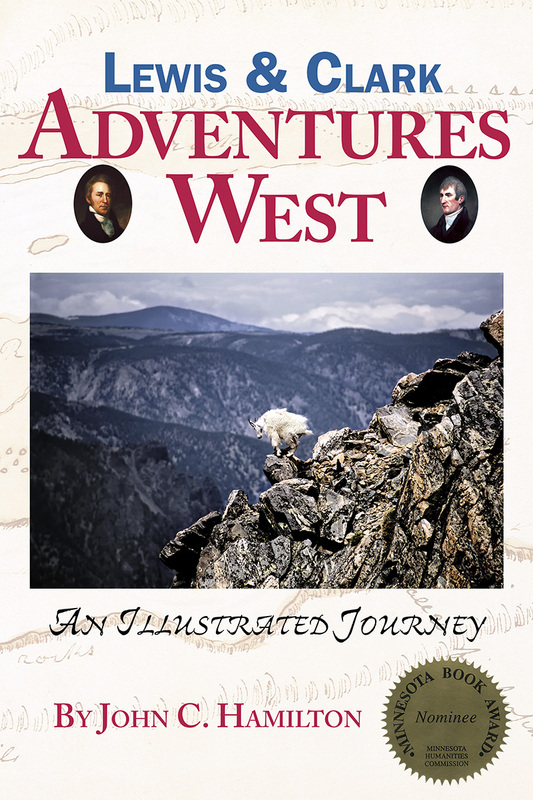 Lewis & Clark: Adventures West tells the greatest true-life adventure story in American history. In 1804, the Corps of Discovery set out to explore the unknown lands of Louisiana Territory and beyond. For more than two years they struggled against untamed rivers and clawed their way through rugged wilderness, all the while surviving raging storms, grizzly bears, starvation, and sickness. They also witnessed the beauty of the American landscape: endless plains, snow-capped mountains, and hundreds of newly discovered plants and animals. They crossed paths with dozens of Native American tribes, with cultures both rich and fascinating. Led by two extraordinary commanders, they would be the first American citizens to gaze upon the vastness of the Great Plains; first to cross the Continental Divide; first to struggle over the Rocky Mountains until they reached rivers that ran westward. Pushing on, they would be the first Americans to reach the Pacific Ocean overland from the east.